This happens to alot of people.. 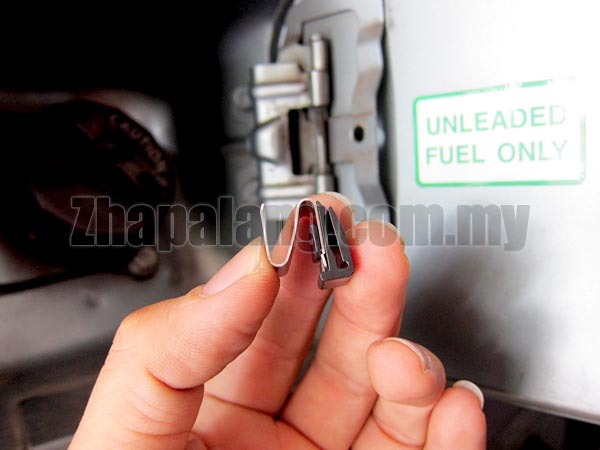 The petrol fill cover did not pop out when press or pull the fuel lid handle, the trick to getting it open is having someone pull the petrol lid handle or hold the button while you open the petrol cover. Or stuff something under the lever while you go pry the door open, with fingernails or credit card, it just swings open now. Usually the problem is the spring broken or missing so the door won't open by it self. 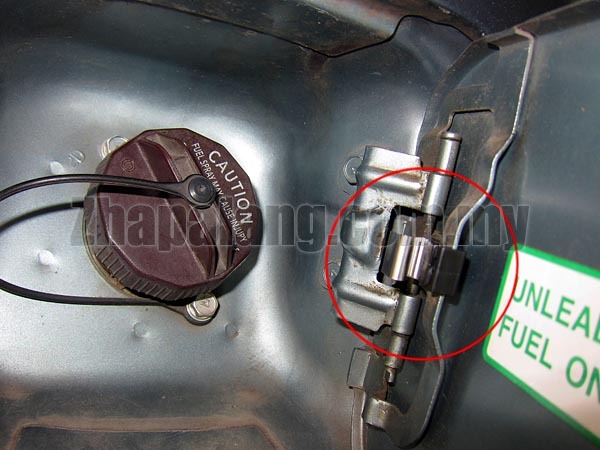 The spring clip got 1 small plastic bump, position the hole and press till it lock it, you can probably do it yourself.